By esiegel on August 27, 2017. Science knows if a nation is testing nuclear bombs. I seriously can't believe that the publication of my latest book,?Treknology, is almost upon us. And -- if you didn't catch it -- I actually had my first op-ed, cowritten with Alex Berezow, appear in the Wall Street Journal! This year's going to end with a bang, too, I can feel it! And now that we've covered all that, let's dive right?into what you had to say for our?comments of the week! I agree with Ragtag here. I bought a couple of sheets of these and they're wonderful. They look, to be honest, like Miloslav Druckmuller's photos (above), and I've already sent a few off to some lucky folks. Now that I've seen one for the first time, I'm a true believer in their magnificence, and I can't wait for the next one! The Newtonian and Einsteinian predictions for gravitational deflection of a distant radio source during the Earth's orbital period (1 year) due to the Sun. The black dots are 2015 data. 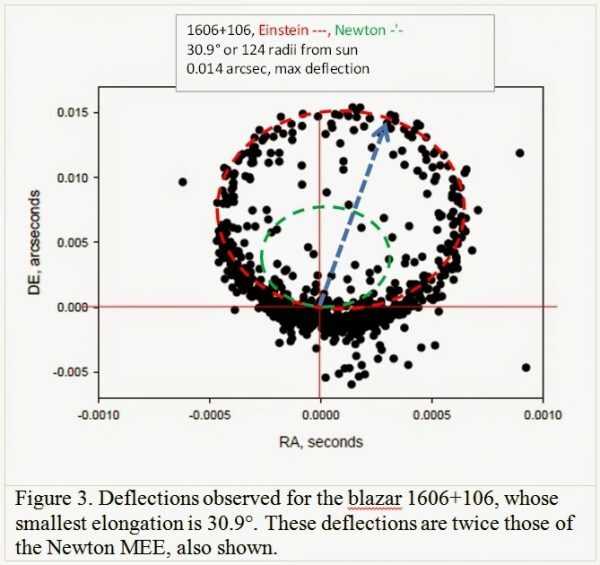 Image credit: The deflection of light induced by the Sun's gravitational field and measured with geodetic VLBI; O. Titov, A. Girdiuk (2015). From Anonymous Coward on confirming relativity without waiting for an eclipse: "Thanks Ethan, for the indirect link. That picture and its caption was a big enough clue for me to find the paper by Titov and Girdiuk: “The deflection of light induced by the Sun’s gravitational field and measured with geodetic VLBI.” I’d heard about the radio measurements of light deflection from the sun but didn’t know of any primary sources." It is incredible how much amazing, quality science has gone on with regards to confirming relativity. In addition to light-bending by the Sun, we do have confirmation of gravitational redshift, the Shapiro time delay, the precession of not just Mercury's orbit but also Venus', Earth's, and Mars' orbits, the Lens-Thirring effect, geodetic precession, strong and weak gravitational lensing, the Sachs-Wolfe and Integrated Sachs-Wolfe effect, and many others, not the least of which is the direct detection of gravitational waves by LIGO. General relativity is extraordinarily well-confirmed by a whole slew of independent lines of evidence -- Govert's book?Ripples In Spacetime that I reviewed just recently -- does a wonderful job recounting many of the confirmations. The radio VLBI observations are a good, recent one that I'm happy I can point you towards. Interestingly, many people have worked to take observations, independently, good enough to confirm the original Eddington experiment this past Monday. I'll let you know if I come across any robust results. 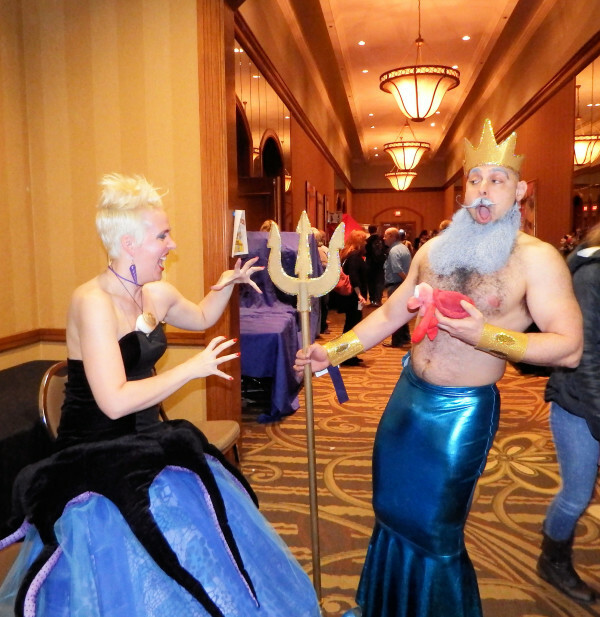 Image credit: photograph by Frank Tuttle of King Triton and Ursula the sea witch from the Little Mermaid at MidSouthCon 34. From Steve Blackband on who am I: "BTW is the guy in the grey beard and crown you?" Keep speculating as to what 2017 might hold! As a black hole shrinks in mass and radius, the Hawking radiation emanating from it becomes greater and greater in temperature and power. Once the decay rate exceeds the growth rate, Hawking radiation only increases in temperature and power. Image credit: NASA. From Omega Centauri on what Hawking radiation is made of: "Since we have a primordial neutrino background at IIRC 1.75K, do black holes also emit Hawking like neutrino radiation? Or does finite rest mass largely suppress this?" Give it enough time, though; when the mass of a black holes shrinks to a small enough value so that the temperature of Hawking radiation is above the neutrino rest mass energy, or above a few tens of Kelvin, and you'll start making neutrinos, then electron/positron pairs, and then the really heavy stuff in the last few seconds. What's interesting is that we're still not sure what sort of gravitational waves come out at the event horizon, as we don't have the quantum theory of gravity necessary to go there. Too bad, because gravitons are massless, too! From Michael Mooney on an intended insult that's actually a compliment: "Ethan consistently makes statements as established facts even though they are theoretical, without empirical evidence and surrounded by debate in the world of physics." Yes, you're very welcome. What you are talking about is called "theoretical physics," in the sense that we have theories which accurately describe the Universe, which in turn we can use to make predictions about new phenomena that haven't yet been observed. It is the best, most straightforward use of theoretical physics, and also my favorite: it's what I built the start of my career on. It's why we were able to predict gravitational waves, including their properties and waveforms, before we had ever detected them. It's why a whole slew of science is able to be done at all. Someday, like many others before you, you may come to appreciate it. 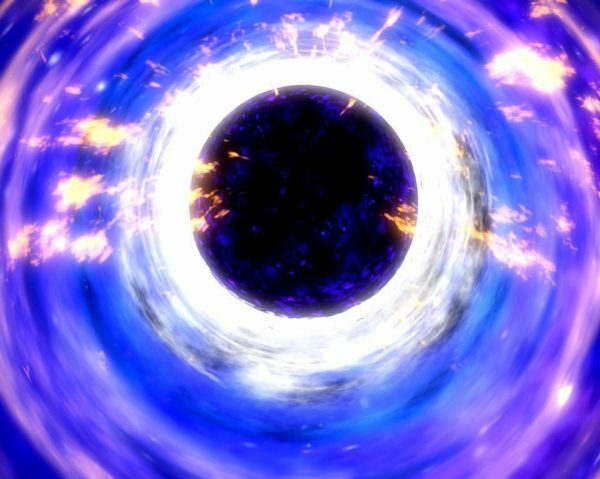 Hawking radiation is what inevitably results from the predictions of quantum physics in the curved spacetime surrounding a black hole's event horizon. Image credit: E. Siegel. From klac on what a black hole's event horizon looks like: "Is the “surface” of the event horizon smooth or roiling? If the latter, does this affect the evaporation rate?" Smooth, down to the quantum gravity scale. At the scale at which it is imperfect, there will be imperfections in the spectrum of Hawking radiation. If Hawking radiation is ever detectable, the fluctuations will be another 30-something orders of magnitude below that in scale. Good luck. 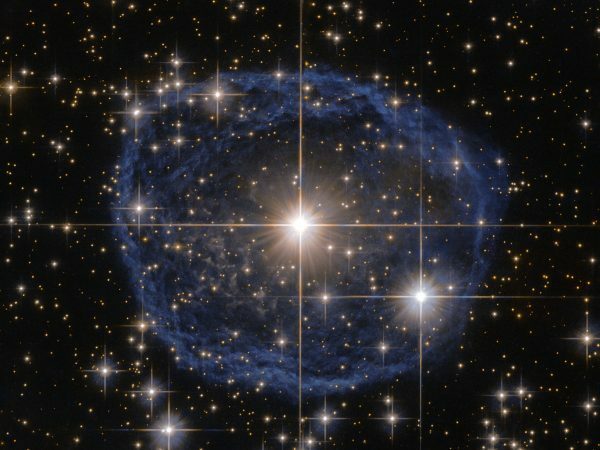 This Wolf–Rayet star is known as WR 31a, located about 30 000 light-years away in the constellation of Carina. The outer nebula is expelled hydrogen and helium, while the central star burns at over 100,000 K. Image credit: ESA/Hubble & NASA; Acknowledgement: Judy Schmidt. From John?on Wolf-Rayet stars: "These Wolf-Rayet stars would make for a pretty inhospitable Solar System!" And their spectra are such that they ought to strip the atmospheres off of any potentially habitable world that ever existed around them. I would say that makes for "pretty inhospitable" indeed. 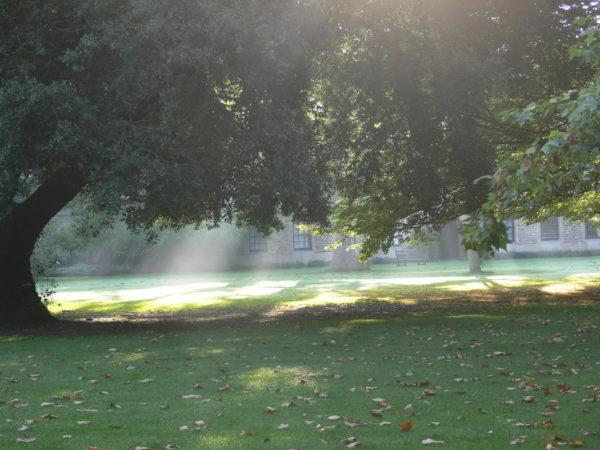 Sunbeams shining through the trees at Oxford, by Wikimedia Commons user Remi Mathis, under a c.c.a.-by-s.a.-3.0 license. From CFT?on the solar eclipse: "I can get the effect of a complete solar eclipse every time I walk under a leafy tree or enter my house. I call it ‘shade’." Walking under a shady tree is to a total solar eclipse what fanning yourself with a folded sheet of paper is to skydiving for the first time. Never seen a total solar eclipse? I highly recommend it; it just might change your outlook on life a little bit. A shot of the Sun's corona at the moment of totality, during the Great American Eclipse of August 21, 2017, at Casper Collage Wyoming. Image credit: Gene Blevins/AFP/Getty Images. From Sinisa Lazarek on eclipse surprises: "Reading your article it’s clear that you had a blast and that you’re still under emotional experience of it. ? I’m glad and happy that you had good weather and that it was great. But can’t really understand why points 1, 2, 6 and 9 are surprising, especially for scientists." Well, the first one (that it didn't get dark all at once) surprised me, because the Sun is really, really bright, and a penumbral shadow is kind of (no offense to the inanimate objects in the Solar System) garbage compared to the umbral shadow when it falls on the Moon. When total eclipses happen under cloudy conditions -- which is how the people I know experienced the 1979 eclipse -- it does get dark all at once. So that's why #1 surprised me. 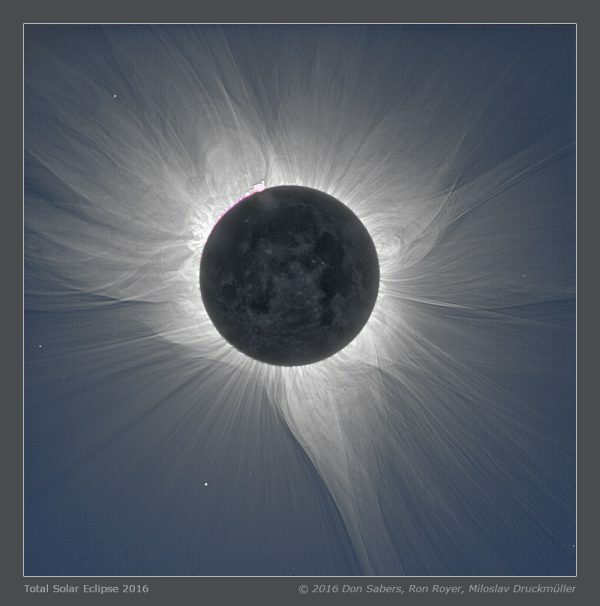 The second one, as to the size and brightness of the corona, I had only seen photos. Sure, some photos are long-exposure to bring out the detail in the outer corona, but I had expected to see a much smaller corona, akin to what the photo at the very top of the page showed, than what was actually visible to my eye. There's no way to really know these things for sure, that cannot be preserved on film, until you've experienced it for yourself. Being a scientist has very little to do with the human experience you feel with your own body. In more than a theoretical sense alone, we all need to live. The eclipsed Sun, the visible corona, and the surrounding sky, as blown-up by me multiple times over the original image referenced. Image credit: Joe Sexton / Jesse Angle. From Pawel?on why the Moon's shadow is so black: "But the question is – why the Moon seems so black during totality? The rest of the sky, beyond the Sun’s corona, is bright because of the light refracted in the atmosphere. Since the Moon is far beyond the atmosphere, shouldn’t it be washed away by the refracted light and appear the same color as the rest of the sky?" Optics never fails to disappoint with how interesting it is. Here's a fun thing for you to do: draw yourself a to-scale diagram (it's tough!) of the Sun, the Moon, and the Earth. Now, extend the Sun's radius by, oh, let's say about 40%, just for giggles. Draw those same lines you'd draw for the Corona's shadow -- both umbral and penumbral -- that you'd draw for the Sun's shadow. If you do, you'll see how much?less coronal light gets through at the Moon's center than at the surrounding environs. 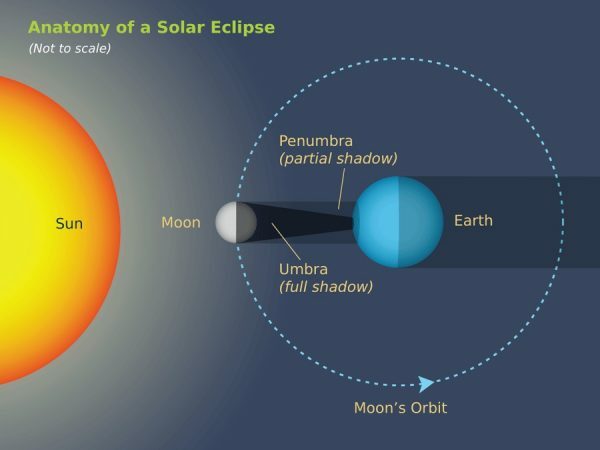 That's the biggest reason why the Moon's disk appears dark in comparison to the region outside the Moon's disk, even when you're away from the visible corona itself. A simulated picture of the sky as it might have appeared during the total solar eclipse of August 21st. Regulus (next to the Sun), Mars (top) and Mercury (bottom) may all be visible with clear skies and favorable conditions. Image credit: E. Siegel / Stellarium. From Steve Blackband on whether he saw Mars or not: "BTW I was starring hard, but I was pretty sure I saw Mars, close to and to the left of the sun, at about 11 o-clock. Am I deluded?" No, but if it was to the?left (east?) of the Sun, it was probably Mercury. If it was to the?right (west) of the Sun, it could have been Mars. If it was either of those, they should have been about 12 degrees (throw heavy metal horns with your index and pinkie fingers, held at arm's length) off from the Sun. If it was much more than that, it was probably Jupiter (to the left) or Venus (bright, to the right), while if it was only about 1 degree off from the Sun, that was probably Regulus. 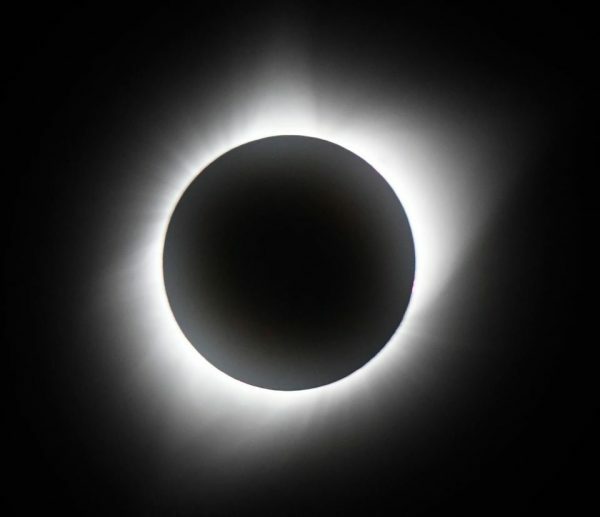 An illustration of the Sun-Moon-Earth configuration setting up a total solar eclipse. The Earth's non-flatness means that the Moon's shadow gets elongated when it's close to the edge of the Earth. Image credit: Starry Night education software. From PJ on eclipse mania: "Welcome to the club, Ethan. You seem to show the signs. More, more! Next eclipse, please! At least the next one will see you better prepared now you have first hand experience of the event." 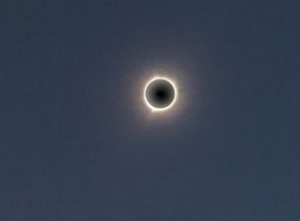 2024, totality in the USA, and it should be more than twice as long as what I got to see. (Waco, TX, gets 4:15 of totality, while in Mexico they get to over 4:30.) 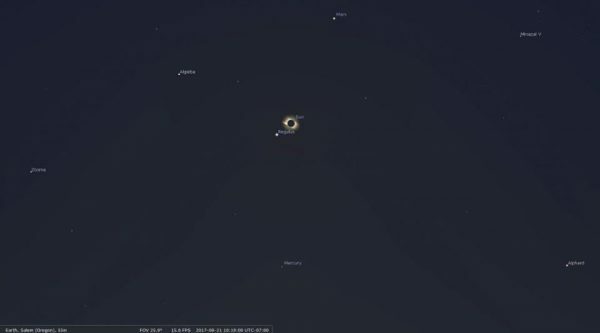 If I get really ambitious, there's always the 2027 eclipse, just shy of my 50th birthday, which will go over the Iberian Peninsula and then peak near Luxor, Egypt. Maximum totality there is over 6 minutes, and should be among the most spectacularly dark eclipses of the 21st century. Yes, PJ, I've had my first taste and now... well, you know how I teach electric potential energy in college? Bringing in electric charges is like the crack dealer: the first one's free, but the second one costs you, and then subsequent ones cost more and more... and you'll pay it if you want it bad enough! 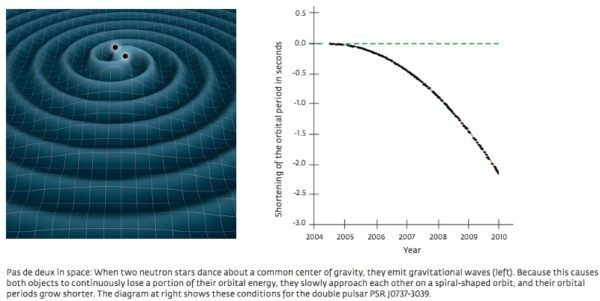 As two neutron stars orbit each other, Einstein's theory of general relativity predicts orbital decay, and the emission of gravitational radiation. Image credit: NASA (L), Max Planck Institute for Radio Astronomy / Michael Kramer. From Omega Centauri on the possible types of gravitational wave signals: "I presume expected signals, gravity-wave, optical/X-ray, etc. have been worked out for the different sorts of compact object merger events. Well, here's the thing: the above signal that you see works for all objects as long as they're spherical and not in physical contact with one another. But white dwarfs, about the size of Earth, touch each other (or whatever they're orbiting) way before something like LIGO would be sensitive to them. LIGO will not see white dwarfs. The brightness/distance relation for light, which is not the same as for gravitational waves. Image credit: E. Siegel. From Klavs Hansen on the unbearable lack-of-lossiness in gravitational wave astronomy: "A factor ten reduction in energy means that the event needs to be a factor ten closer to be detected?" Yup. And it isn't obvious. Light, an electromagnetic effect, is a form of dipole radiation. If you go twice as far away, the brightness dims to one-fourth the original; if you're ten times as far away, the brightness is 1/100th. But gravitational radiation is?quadrupolar radiation, not dipole radiation. It doesn't fall off as 1/r^2, but rather as 1/r. If you're ten times as far away, the magnitude is only 1/10th as great. This is good, because that radiation is so weak! 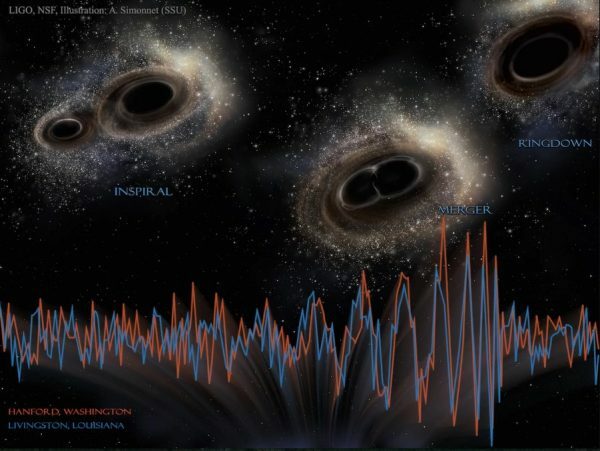 It also means, if you wanted to visually detect what was going on with the original merging black holes that LIGO found, they'd need to have merged from within our Solar System, instead of over a billion light years away. There is no good non-technical explanation of this effect that I've yet figured out that's actually still correct. 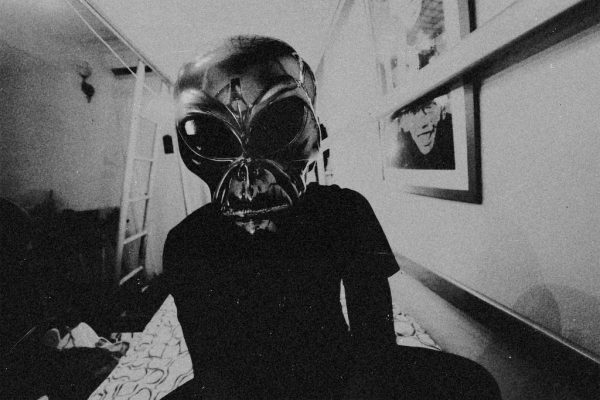 From eric?on disagreeing about alien intents: "Consider the species on Earth with reasonably sized brains. most of them can communicate (albeit not like we do). All of them are more closely related to humans in brain structure, instinct, and emotional desires than any alien we will ever meet – hands down, no contest. And yet?practically none of them show any interest in wanting to communicate with humans." Huh. I suppose we've met different intelligent animals. Dogs, cats, dolphins, monkeys, Orang Utans... I've met?lots of animals that not only want to communicate with humans in general (and me in particular), but that want us to play with them. Play is one of the highest forms of communication, IMO, so... my experience doesn't mirror yours, I suppose. 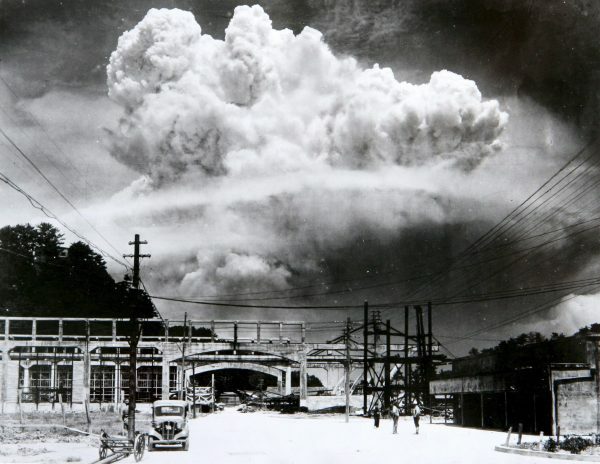 The cloud from the atomic bomb over Nagasaki from Koyagi-jima in 1945 was one of the first nuclear detonations to take place on this world. After decades of peace, North Korea is detonating bombs again. Credit: Hiromichi Matsuda. And finally, from Elle H.C. on the nuclear frontier and mass-energy conversion: "Is nuclear energy the last barrier where mass can be turned into energy, no sub-atomic conversion to worry about, anyone have a crystal ball to foresee ‘the future’?" Oh no, not at all. You see, even chemical transitions, where electrons hop from one energy level to another, get their energy from mass-energy conversion. It's just 5-6 orders of magnitude less efficient. But in the other direction, matter-antimatter annihilation (or, in the case of boson-boson interaction, pure annihilation with no distinction between matter and antimatter) is 100% efficient, about 2-3 orders of magnitude better than nuclear energy. It's pretty incredible what we've achieved, but there are reminders that nature is both more subtle than we give it credit for and also capable of being more spectacular than anything we've ever yet made come true. Have a wonderful week, and we'll be back here tomorrow with more outstanding science on Starts With A Bang! On the mass-energy conversion, so why do they say there's no energy released during particle collisions, like in a fission reaction for instance, or is this something I misunderstood? I stated recently that Ethan is very dishonest and self serving. Presenting speculative theories as established facts is dishonest science, and Ethan not only admits it, he is proud of it. And he consistently confuses science fiction with real science (the objective kind with supportive evidence.) See his last piece on time travel. my explanation might be very simplistic, but here goes. Of course energy is released in particle collisions, who says it's not? It's precisely that energy released (most of it heat) that makes it possible to create new and exotic particles. New particles (like higgs) are inferred when there is "missing" mass/energy. Meaning, when you count all the new particles created after collision, if the product is less then what you started with, it means that some new particle was created that you didn't know about and account for. Since nuclear fission is possible, due to an assymetrie between the strong-force and the electro/weak-force (for short distances the strong force is stronger for longer distances electro/weak is stronger and for very large distances gravity even exeeed electro/weak). Fission works in that way that Neutrons and Protons in a nucleus are rumbled in a way that their distance overcomes the critical distance where electro/weak- exceeds strong-force thus the repelling electroweak force will tear the nucleus apart. Such an effect is also thinkable for Protons instead of the Nucleus, and Quarks instead of the Protons and Neutrons, since also strong-force holds the quarks together and since the quarks are also charged particles where 2 of them have the same charge there is also a repelling electro/weak-force trying to tear the Proton apart (for the Neutron it even works but also without chainreaction). 1. other then in the Nucleus where there are only positive and neutral charged particles (Protons and Neutrons) in the Protons (and also in the Neutrons) there are positive and negative charged Quarks together only in the Neutron these charges total to 0 units (2/3 + 2*(-1/3)=0) and in the proton they total to +1 unit (2*(2/3)+(-1/3)=3/3=1). Thus there are not only repelling electroweak-forces but always also electro/weak-forces pulling the particles together what in my eyes even without the strong force should be as stable as atoms and ions always containing positive and negative charges in some relationship. 2. for fission the energy released by one decaying Atom is far less than the energy contained in the restmass of the Atom (only about 1/1000 of the energy as far as I know), but the energy to trigger the decay of the next atom is also much less than its restmass, so a chain-reaction is possible. There is as stated above no mechanism which releases more energy by any chemicalor physical process than is contained in the restmass of the particles taking part, usually it is rather much less. There is also no known effect to trigger the decay of a Proton or a Neutron in such a way that all its restmassenergy is released using only energies smaller than the restmass of one of these particles, even energies much larger than the restmass of the Proton did not yet trigger a spontanious decay of a Proton. Sure the LHC is build to destroy Protons by their collission, but such a destruction of a Proton up to now never resulted in energies large enough to destruct other protons, even if there is an avalange (like when cosmic particles hit the athmosphere) the energy becoms less in every step and the avalange stops after a very short time. maybe then it was the wording in your first question, since you said "released". Given your #4 you might have meant "created more then what was put in". I think that's what you're thinking about. In fission you get more out because of nucleus splitting, releasing that binding energy, and thus spending fuel (radioactive elements). But IMO particle collisions might be more akin to fusion. But due to very tiny cross-section of protons only a very tiny amount of those millions of protons colliding might actually fuse and create couple of atoms of helium. Given the energy needed to accelerate them and all, you still (i think) put a lot more in then you get surplus from a chance that those couple of atoms of helium being created. It's not sustainable. The bottom line is getting more energy out of it than put in, that's what I'm curious about. For nuclear fission a neutron is added and the Atom splits. What's used is enriched uranium which is a type of uranium in which the percent composition of uranium-235 has been increased through the process of isotope separation. For a (chemical) fire there's something similar happening, the wood is first dried out by the Sun and so the flashpoint is much lower, the same for the distillation of gasoline out of crude oil. What I'm saying is that a lot of work/energy has been put into both materials at forehand before the became easily 'combustible'. That's in line with my argument of high frequency and density of particle collisions at the LHC vs Cosmic Rays in nature. A high series of collisions could strain out surrounding Protons like with the glass that bursted due to the sound … and the last drop caused the snapping of the bonds … releasing more energy than (finally) put in. Some of the binding energy between two bound particles shows up as mass. Unbind them, and you can observe a change in the balance of mass and energy in the system. Take two unbound particles and bang them together, and you won't necessarily change the mass of the system. You might, if the collision affects the binding of subatomic particles in either object, but you don't have to. Strain how? But never mind. "… releasing more energy than (finally) put in." Well, that would be wonderful actually, if it was real and doable. Means we would solve world's energy problems. But since you can't focus the proton beam to an arbitrary high precision in order to guarantee that most if not all would actually fuse to make hydrogen. "Note also this binding-energy-as-mass relationship can cause a system to gain *or* lose mass"
There's also the space filling Higgs field that bonds with Quarks giving them mass, with the Higgs bosons as a result of a vibrations in that field produced by high-energy collisions. So it aren't only GWs. Vibrations in the Higgs field could make surrounding Protons more massive or energetic, or extracting energy/mass like a fan. The question, if possible, is how to contain such a reaction? For nuclear fission you need heavy unstable Atoms, other Atoms are fairly unbreakable; something similar for molecules such as gasoline vs. water for example; but for Protons there's only one kind of them. @Chelle, your word salad proclamations make it very hard to tell whether you really don't know something, or whether you just don't know the terminology. There are many kinds of nucleons besides protons and neutrons. They are all unstable, but some are less or more unstable than others. Transitions between them all involve changing masses, with consequent absorption or release of energy. Simple radioactive decay involves changing masses. Your attempts to restrict mass changes to some sort of "destructive" interaction is woefully naive, incorrect, and misleading both to yourself and others. "The question, if possible, is how to contain such a reaction? " like all other fusions reactions or anything dealing with plasma.. strong magnetic field. Yes, sure magnets can keep the particles in place but would they also block the vibrations moving through SpaceTime / Higgs field? If not then you have no buffer. "Your attempts to restrict mass changes to some sort of “destructive” interaction …"
I am only focusing on the idea of how vibrations might change the energy/mass levels of a Proton, and if that may lead to the disruption of a Proton. Please do explain to us what's so 'misleading' about this question. Are you saying that collisions don't cause vibrations in the Higgs field and/or SpaceTime? "… the Higgs boson is the particle we observe when we interact with a vibration in that field." Elle @6 : your metaphoric ideas are stil inconsistent with reality, since in every single example you cite, we can observe individual events in a lab setting, but your claimed proton disintegration is not observed. "your claimed proton disintegration is not observed." That's true, and that's why it is a hypothesis, similar to 'passive' Proton decay (https://en.wikipedia.org/wiki/Proton_decay). higg's boson is an excitation of the higg's field. Just like a photon is an excitation of the EM field. What does that have to do with protons? since you wrote... higgs boson could make protons more massive/energetic. Why? How? that's not a hypothesis.. that's just statement. It's same as me saying "Sun spots could cause frogs to fly". "Higg’s boson is an excitation of the higg’s field. Just like a Photon is an excitation of the EM field. What does that have to do with Protons?" Energy can be transferred into the Proton via vibrations in the Higgs field as with Compton scattering in the EM field, where the Photon transfers part of its energy to the Proton and scatters off at a lower energy/frequency, the Proton taking up the energy-momentum balance. Heating up! BTW the excited states of the Proton involve rearrangements of the energy and angular momentum inside. The transition energies are in the 100MeV to 1GeV range which is beyond visible light, but Gamma Rays can excite such transitions and be absorbed, hence also the ~126 GeV Higgs boson. "since you wrote… higgs boson could make protons more massive/energetic. Why? How?" See above. Energy vibrating through the Higgs field after every collision (Wave–particle duality). "that’s not a hypothesis.. that’s just statement." Yeah, sure it's a statement, bravo! But the argument of making Protons burst or implode is an hypothesis, like it or not. 1. a supposition or proposed explanation made on the basis of limited evidence as a starting point for further investigation. "Energy can be transferred into the Proton via vibrations in the Higgs field"
- this involves stable particles, higgs lifetime is 10^-22 s, thus I see no parallel nor evidence that this ever happening. - you offered NO explanation (talking about other things unrelated to your claim is not an explanation), and offered exactly zero evidence. No evidence is not limited evidence. Thus it's not a hypothesis. It's statement not even based on science. Besides, suppose a Higgs boson does interact with a proton causing it to enter an excited state. Suppose even further that the proton thus excited decays into some other particle. While that would certainly be interesting new physics, from the "this is going to cause a catastrophic explosion that will kill us all" point of view that Elle is putting out there, so what? What would be the great tragedy that would cause calamitous damage should a single proton undergo some decay? Even should the full 126 GeV energy of a Higgs boson be released, that would be barely noticeable on a macroscopic level. I know, Elle, chain reactions. But what is the mechanism? Why would such chain reactions occur when we cannot seem to generate even a single such event? If such a single proton decay is so improbable that we haven't seen in in literally trillions (or more) particle interactions, what makes you think there's a danger of even TWO such events occurring in close succession, let alone a major chain reaction that will cause macroscopic damage?
" What would be the great tragedy that would cause calamitous damage should a single proton undergo some decay?" If a Proton would disappear out of a nucleus the remaining system would become a negative ion of the element left of the original one on the periodic table. It would also be in a mixed-up quantum state with all the electrons wanting to readjust, and some of the electrons released be lost, along with a bunch of photons, this along with the Proton itself that converts mass into energy, and I'm talking here about only one Proton in the Nucleus. Now for a single 'conversation' there's little harm, but my argument is that the LHC has about a billion collisions per second within a few mm's, now if you look at the double-slit experiment those Photons 'touch' the 2nd slit, my point is that those waves spread out a few mm's. So the hypothesis is that the vibrations of those billions of collisions, happening hours in a row, strain the Protons surrounding that collision spot, and start to charge them so to speak, making them ready to snap. Now for a cm^3 of solid matter surrounding the collision-spot we get ~10^24 charged Protons, if they all would snap then that would be an incredible burst of energy, and a possible ignition for the chain-reaction. "so how come these “ignitions” and “chain reactions” haven’t happened in i.e. in the middle of stars?" Photons aren't crushed within Stars, the temperature in LHC is 5.5 trillion °C. That's 100,000 times hotter than the centre of the Sun. "there is no solid matter or any elements in the tube of LHC. it’s vacuum"
Sure the inside is vacuum, but the tube itself is solid. Indeed, the proton–proton chain reaction is a fusion reaction by which stars convert hydrogen to helium. But there are no Protons destroyed in the Process, the temperature is lower, these are 'normal' nuclear reactions. Okay, you have a hypothesis. Let's test it out. How long has the LHC been operating? About two years I believe at its current energy and luminosity. Where are the proton decays? Where are the chain reactions? That's the thing about a SCIENTIFIC hypothesis; when faced with actual data that refutes it, you are supposed to reject the hypothesis. It's time you do so; there is no evidence for the calamites you suppose will occur at the LHC. Let's also get quantitative here. If I'm understanding the Wikipedia article on the LHC correctly (and if the article is correct) the LHC is colliding protons at a rate of 40 MHz, meaning that the collisions occur 25 ns apart. This seems like a quite rapid rate of collision, but as subatomic physics goes, this is actually quite SLOW. As mentioned above by Sinisa, the lifetime of a Higgs boson is about 10^-22 seconds, which means that 250 trillion Higgs lifetimes pass between each proton-proton collision. This indicates that your chain reaction cannot occur -- there simply are no Higgs particles left from the previous collision to cause an interaction with the next collision. Your high luminosity is not high at all; it's in fact quite low in comparison with the hypothesized mechanism of your "doomsday reaction". Let it go. You like analogies and big numbers sometimes are hard to comprehend, so let me expand on my previous post. Suppose I throw a baseball at a brick wall. The energy of that baseball is certainly insufficient to break or damage that wall. (I am not a very good pitcher). However, you are arguing, and with some merit, that if I throw baseballs at that wall at the right frequency, I CAN damage that wall. Let's make that frequency analogous to the frequency of the proton collisions in the LHC, though. If we assume that the vibrations caused by a baseball impact dissipate within about 1 millisecond, that would be analogous to the Higgs lifetime in the LHC experiment. I need then to wait 250 trillion x 1 millisecond = about 7922 years before throwing my next baseball. Surely, you won't argue that my throwing a baseball every 7922 years against a wall would have a cumulative resonant effect would you? There is absolutely no possible interaction between one proton-proton collision and the next based on your hypothesized mechanism. Can't happen; the timing just doesn't work out. "That’s the thing about a SCIENTIFIC hypothesis; when faced with actual data that refutes it"
I haven't put any numbers on a 'flashpoint' so what are you talking about? Besides that the idea is to increase the energy and luminosity of these colliders … increasing the risk. "the lifetime of a Higgs boson is about 10^-22 seconds, which means that 250 trillion Higgs lifetimes pass between each proton-proton collision." Yes, but you need to look at how long it takes for the Protons to renormalize between every collision-peak. In your example you need to look at how fast the wall cools down, how fast the Higgs boson dissipates is irrelevant. "Yes, but you need to look at how long it takes for the Protons to renormalize"
do you even know what you are talking about? I think not, in fact I think you've spewed out so much nonsense that even you have no idea what you're on about now. What protons? Two batches of protons are aimed one another. Due to the very small cross-sections, some of them simply pass by one another and don't collide, those that do collide create a bunch of new particles, and are no more. What protons are you talking about? Where are they from? Reality isn't what you think it is. "I haven’t put any numbers " you say.. well, science has. So sulk all you want. Data has shown that your "oh it's increasing in frequency" is bullocks. "What protons are you talking about? Where are they from?" "A high series of collisions could strain out surrounding Protons like with the glass that bursted due to the sound … "
The Proton-Proton collisions are shaking up the Higgs field / SpaceTime and those waves/vibrations shake up the surrounding Protons, the tube of solid material remember. Did you really not get this? And here I was, thinking that you were worried about something dealing with the actual components of the collisions causing some armagedon. Instead you're worried about things which are not in direct contact with collisions in the first place due to physics which don't exist. Cooool. "things which are not in direct contact with collisions"
The surrounding Protons are indirectly connected through the Higgs field / SpaceTime. "due to physics which don’t exist." No. There is proof that the Higgs field exists and that Gravity waves travel through SpaceTime, thanks to the LHC and LIGO. What's unknown is what the impact is of these vibrations on those surrounding Protons. It's a bit similar to global warming and what environmental impact automobiles have while heating up the Atmosphere. "No. There is proof that the Higgs field exists and that Gravity waves travel through SpaceTime,"
Yes, there is proof of that, but it's unrelated to your "shatter" statement. No, there is no proof or even a hint, even theoretical, that what you propose is even remotely plausible within the laws of physics. So your statement is just as valid or invalid as my statement that son spots could cause frogs to fly. "What’s unknown is what the impact is of these vibrations on those surrounding Protons." Well, it was you who said that you talked with people at CERN and they said that the impact of gravitational waves was known and it was 20 orders of magnitude too small to even bother writing a sentence about it. So by your own claims, it's known.
" It’s a bit similar to global warming and what environmental impact automobiles have while heating up the Atmosphere." no, it's not similar, not even a bit. Not with gravitational field or higgs field. It seems you are stuck in a world of analogies with no physical connection with one another. Why you don't actually study the actual subject matter and instead rest all your arguments on un-related analogies is beyond me. Well, it was you who said that you talked with people at CERN and they said that the impact of gravitational waves was known and it was 20 orders of magnitude too small to even bother writing a sentence about it." It didn't take into account the high frequency and density of the collisions. It would be like saying the emissions of one car has no effects on the environment, but as we all know it are the billions of cars that are messing up our environment, increasing the Global temperature and melting the ice. What you are doing here is like 'Denier' just looking at one or two elements but staying blind for all the rest. So where are these proton decays? If your hypothesis is true, why haven't we observed these events? 2 years of collisions at 40 million collisions per second -- that's over a QUADRILLION collisions. Not a single one has caused the event your ranting on about. "If your hypothesis is true, why haven’t we observed these events?" Two possibilities: maybe my hypothesis isn't true; but if it's true than it's because the energy of the collisions are still too low and we need more energy. "It didn’t take into account the high frequency and density of the collisions." they told you that what they do causes (or doesn't cause) anything. AFAIK LHC increased it's power by several TeV from initial runs. Hardly even one magnitude, let alone 20. So what high frequency and density. Making stuff up again? "So what high frequency and density." LHC has been running for years now without any issue, you're safety concern has been shown to be unfounded at best and crazy talk at worst, so why are you bringing it up again eh? I'm sorry but you're hardly a reference to listen to. LOLZ.. oki doki :D as far as I can see.. you're not listening to anyone. cheers! "Secondly, in every collision only about 20 protons actually do inelastic collision"
Those 20 collisions add up to a total of 600 million inelastic events per second, and once the beam is at full strength the LHC generates collisions for somewhere between 10 and 20 hours. Too many threads on the black hole debate.
" The hole’s space is bent downward in some higher dimensional “hyperspace” that is not part of our universe." If i find the right thread for this I will transcribe it. But we observe the emissions of a single car. You are again reasoning from an analogy, but picking an analogy that would support the conclusion "your hypothesis is false." ALL your analogies, in fact, support the conclusion that your hypothesis is false. Because in physics, the individual processes that contribute to a 'chain reaction' are observable too. But yours aren't. Which means your hypothesis runs counter to observation. maybe my hypothesis isn’t true; but if it’s true than it’s because the energy of the collisions are still too low and we need more energy. Sean T already covered this in @30. The collision rate is 14 orders of magnitude slower than the Higgs wave decay rate. Thus any hypothesis (like yours) that relies on successive waves constructively interfering to create a bigger effect will not happen. "But we observe the emissions of a single car. True but the analogy was related to something I said previous time which SL brought up again, namely the feedback I got from someone at CERN that the GWs produced by LHC collisions are something like 50 to 100 orders of magnitude too weak to be detected, numbers obtained with the quadrupole formula. "Sean T already covered this in @30. The collision rate is 14 orders of magnitude slower than the Higgs wave decay rate"
"Yes, but you need to look at how long it takes for the Protons to renormalize between every collision-peak." Bottom line is the question if Protons can be charged and ultimately shaken apart due to vibrations? Your answer seems to be a definite 'NO' based on your gut feeling, my viewpoint is that maybe they can, I don't know. What you guys are kind of doing is ignoring the obser. "BTW That’s also something ‘Denier’ would bring up …"
- Cranks characteristically dismiss all evidence or arguments which contradict their own unconventional beliefs, making any rational debate a futile task and rendering them impervious to facts, evidence, and rational inference. - Cranks overestimate their own knowledge and ability, and underestimate that of acknowledged experts. - Cranks insist that their alleged discoveries are urgently important. - Cranks rarely, if ever, acknowledge any error, no matter how trivial. - ignore fine distinctions which are essential to correctly understand mainstream belief. Anybody else here that thinks I'm a crank for questioning if Protons can be shaken apart? I think everybody is okay as long as there is respect and no excessive posting etc. Diversity is good. We should not take ourselves too seriously here. We are just commenting. Ok, I took your idea seriously, elle, but you have yourself refuted it in your post #46. There are 400 million events per second. That's 25 quadrillion events in the two years that CERN has been running at its current luminosity and energy. How many proton decays have occurred during these 25 quadrillion chances for them to occur? The probability of a proton decay such as you posit seem to be less than one in a quadrillion. You expect TWO successive such decays to occur? The probability of that occurring is less than 1e-30! That's what it would take to start a chain reaction, though. I already answered to this at #40 It's a question of reaching a flashpoint 'temperature' as I told you also at #32. You keep bringing up the same argument. We can detect gravitational forces much lower than "destruction of Earth" level. Probably at least several orders of magnitude lower (I'm being facetious - it's going to be many. But let's go with 'several' to be safe). So if it takes 50+ orders of magnitude for mere detection, its going to take at least 53+ orders of magnitude for your scenario to happen. But there hasn't been 53 orders of magnitude of events in the entire LHC's history (see @54), and you'd need that number to occur in less than 10E-20 seconds (approximately) for them to have a chance of constructively interfering! Combining this info, it appears that the only way we can't see an effect now and yet there to be a earth-shattering effect, it would have to occur at intensities ~75 orders of magnitude higher than what we can currently achieve. Anybody else here that thinks I’m a crank for questioning if Protons can be shaken apart? No, I think you're a crank for claiming the LHC poses a credible destruction-of-Earth risk the way it currently operates. If you want to produce metaphors about how a proton is like a glass or car or ice cream cone, and conclude from those metaphors that there is a never-before-seen photon decay modes, feel free. That doesn't make you a crank. Insisting particle physics experiments be halted merely because your metaphor leads you to think there is a risk makes you a crank. There are many many steps you need to take between "I posit a new, dangerous, proton decay" and "stop the LHC from operating." You have to come up with a mechanism for your decay. You have to figure out how to test whether that mechanism actually exists or not. You have to then do the test. You have to show some results consistent with your mechanism existing. Very likely, you'd then have to convince another group to reproduce your results (though if you've done the earlier steps right, that shouldn't be too hard). Only then does your suggestion "stop the LHC" move from crankiness to credible. OK elle, you are making many different arguments at once. I thought it was Higgs particles that caused the problem. These have a lifetime far too short to worry about cumulative effects, so we can rule them out. Next you talk about temperatures (which really is just energy for a single particle). The energy of an excited state particle is dissipated rapidly by spontaneous emission. The rate of such emission scales as the cube of the energy of the transition. For protons, this would be quite high, so again time frames on the order of 10^-20 seconds would be expected, again far too short for cumulative effect. Positing that a higher energy will be required only makes matters worse as higher energies will result in even faster relaxation times. Now you seem to be going on about gravitational waves. eric did a good job discounting that possibility in hs post #56. What's next? I am sure that no matter how many mechanisms get discounted, you will come up with something new. So the answer is yes, you are a crank for thinking protons can be shaken apart, at least under conditions that prevail in the LHC. Unless of course at some point you admit defeat and admit that the evidence does not bear out your hypothesis. Cranks are people who cling to an idea in the face of contrary evidence; you are getting perilously close to that. Another point: even if a proton is "shaken apart", what is it "shaken apart" into? What happens to it? Why is it a disastrous thing for a proton to be "shaken apart"? I know, I know "chain reaction" and all that. Chain reaction is not an explanation, though. You have to state WHY there is expected to be a chain reaction. For nuclear fission, there is a chain reaction because the initial fission event is triggered by neutron absorption and the result of the fission is the formation of four new neutrons, which can trigger more fission events. You have postulated gravitational waves, Higgs particles, high energy, and who knows what else as triggering mechanisms for protons "shaking apart". Why would a shaken apart proton produce a Higgs particle? If it's just energy, why would a proton "shaking apart" produce energy rather than absorb that energy and produce more massive decay products? Why would it produce gravitational waves sufficiently strong to cause a new event? Absent such a chain reaction, the decay of a single proton would likely go unnoticed by anyone without a particle detector. It would hardly be a dangerous event. "So if it takes 50+ orders of magnitude for mere detection, its going to take at least 53+ orders of magnitude for your scenario to happen." In most cases in physics yes, but not in the case of the glass that snaps. In the latter it is the build of small bits of energy that ultimately make the glass snap! So the 'input energy' can be 50 to 100 orders smaller. It's a matter of time it takes to strain the Protons until 'boiling point', with the right pitch. Perhaps until some energy nothing is 'absorbed'. "Insisting particle physics experiments be halted merely because your metaphor leads you to think there is a risk makes you a crank." Yes, that's something I have realized, so that's not something I'm asking ATM. But had expect that the LHC safety paper had included a study on the relationship between the collisions and surrounding matter, but it's handwaved away. We have serious studies checking if mobile phone signals in the electromagnetic field aren't dangerous, and we know that nuclear radiation can cause cancer over a long period of time, but when it comes to the LHC there's nothing to find on the subject if vibrations in the Higgs field have any harming potential. All the studies are only focused on the collisions themselves. As mentioned in a previous post with the Atom bomb there was the thought of setting the atmosphere on fire, and so the did the calculations. "even if a proton is “shaken apart”, what is it “shaken apart” into? What happens to it? Why is it a disastrous thing for a proton to be “shaken apart”?" But as you know I'm not an expert, therefore I had expected that expert had explored this path in the Safety paper. Also check #24 for your last question. Oops, there has been a mixup, I thought that Sean T's post at #58 was also by Eric. We have serious studies checking if mobile phone signals in the electromagnetic field aren’t dangerous, and we know that nuclear radiation can cause cancer over a long period of time, but when it comes to the LHC there’s nothing to find on the subject if vibrations in the Higgs field have any harming potential. Goodness, that's treating very different cases as similar. The first case is one where we know the mechanism, we observe the emissions, we know and observe their effects, and conclude scientifically there's no risk...but because there is lots of litigation and lots of public fear, people do the studies anyway. In the second case we know the mechanisms, observe the emissions, we know and observe the effects, and they have documented health effects that we've known about for more than sixty years. In the third case, the mechanism is hypothesized but no evidence for it exists. Nobody has ever observed the emissions. The effects are extrapolated from one person's preferred metaphors - not even a quantitative model! So yes, it's not surprising that the third case is not treated like the first or second cases. Why should it be? You're missing the fundamental basis that even the cranks claiming cell phone radiation risk have. Those are three very different situations. In the first, the physics is largely known, there's no predicted risk, and the studies get done mostly because of litigation and public demand, not because scientists think it's a fruitful area that will yield new knowledge. In the second, the physics is largely known, the risk and health effects are known, and pretty much everyone accepts it. In the third case, you have no quantified physics. You have a metaphor which may not even be apt. Chelle, there are an infinite number of potential risks we are not studying. Vibrations in the higgs field! Quadrupole motion in quantum foam! Octupole motion in the hydrogen wavefunction! We can't investigate them all. We probably don't even have the money and resources to investigate all the risks we have evidence for, let alone the ones for which no evidence exists. Why should we treat your unevidenced claim any different from the practically infinite number of other unevidenced claims other people make? The scientific way of dealing with this issue of "more hypotheses than we have resources to investigate" is to put the onus of initial investigation on the proposers/defenders of that hypothesis. That treats all hypotheses (whether mainstream or counter-mainstream) equally, and separates the serious proposers from the less serious ones by asking such people to commit their own time and money to their idea (or the time and money they can raise from investors), before anyone else is asked to do so. 1st I'm asking, who am I the public, so it's exactly the same. 2nd we only knew later on that nuclear radiation was dangerous enough people got serious injured or died in the early days, the most famous Marie Curie. 3rd my 'metaphor' is one of the most basic elements in physics, every security report takes a look at what risks there are for an event to spread out. And sure there's enough money for this, F**K if there is one thing on this planet where there should be money for is to check if you're not blowing up the planet. BTW when something 'new' at the LHC is discovered suddenly 200 papers show up to explain what it is even when it still might be nothing. Surely a 5th of these theoretical scientists could take a few days to investigate the risk of the high frequency and density of the collisions in relation to the 'aether' and the surrounding matter. This is pure basic, not like multi universes etc., are they perhaps too elitist to do an official investigation on something plain and simple? Again for f**ks sake the standard model is 40 years old, nothing significantly new since at least some people could have had the time to do a check on the proposed 'vibrating' effects of the collisions. What's most important ATM in theoretical physics? What I'm reading from your part are a lot of excuses. Why don't you just say; "cool let real scientists investigate it and write up an official paper, so we know officially"? How much would the state lose on this, not a penny. , F**K if there is one thing on this planet where there should be money for is to check if you’re not blowing up the planet. People can come up with all sorts of hypotheses that end with the planet blowing up. And they will all, like yours, initially have zero evidence for them. So unless you're demanding we commit resources to investigate every possible planet-blowing-up hypothesis, why should we privilege yours more than any of the others? To borrow from Stephen Roberts, when you understand why you dismiss the risk of octupole motion in the hydrogen wavefunction as not worthy of investigation, you will understand why I dismiss yours. "So unless you’re demanding we commit resources to investigate every possible planet-blowing-up hypothesis, why should we privilege yours more than any of the others?" All the others have been investigated, but not one takes the high frequency and density of the collisions into account. You just keep on making excuses. You know very well what the problem is, for individual events we have references of Cosmic Rays with higher energies, so it's safe to say there is no risk. But when taking the high frequency and density into account there is no reference, this situation is unique in the universe so one has no idea if this is dangerous or not, and who dares to publish that they don't know if there's a risk even of it's 1 in a billion. The same goes for Ethan's response here playing it safe saying there is 'nothing' vibrating, the official way to look at space, not wanting to be the one saying their 'might' be something vibrating. Anyway does one have proof of String theory? No, but there's no risk for the community to publish one paper after the other … in contrast to a paper that might give the slightest hint of any risk with particle collisions. "Tobacco companies have capitalized on this philosophical objection and exploited the doubts of clinicians, who consider only individual cases, on the causal link in the stochastic expression of the toxicity as actual disease. Scientists protecting their industry, this is typical human behavior. I suggest you start small. I would first try to complain to local city authorities that the side wall of your building was never tested to resist the impact of 10 000 mosquitoes. They might have tried with one.. on tried with some bigger objects.. but never with repeated hits with 10 000 mosquitoes. No one bothered to test. How negligent of them. Just saying... doesn't require new physics. 'Cause it sounds like you're asking that theoretical physicists at CERN should stop doing what they're doing and instead concentrate their combined brain power and invent some new extension to the standard model that allows for your "vibrations" to exist and affect the "surrounding" protons in just a way that you claim. Then run experiments that this is in fact real or not, and then update their security assessments that another thing was ruled our or not. Based on what, from your side? You yourself said: " you are right to point out why I am wrong,". Seems that the world ought to do a whole lot for something you admit being wrong about?! I do not know that photons act like glasses that are subjected to acoustic waves; that's your premise, but it isn't mine. I do not know that high energy physics collisions violate Einstein's photoelectric effect. That is your premise, but it isn't mine. I do not know how particles with halflives expected to be about 1E-20 seconds, last long enough to create a constructive interference effect when they're only produced at a rate of a packet every 1E-9 seconds. And I do not know that this unknown hypothesized reaction will produce gravity waves. So while yes I understand your hypothesis, I do not know it to be credible. You must convince me of that before I will treat it as credible. And the way you convince scientists that you have a credible hypothesis is you go out and get data that supports it. Or, if you're a theorist, you can alternately show quantitatively how it does a good job of explaining some currently unexplained observed phenomena. That will also peak peoples' interest. The same goes for Ethan’s response here playing it safe saying there is ‘nothing’ vibrating, the official way to look at space, not wanting to be the one saying their ‘might’ be something vibrating. I'll say it. There might be something vibrating. So what? You're still missing all the hard work you need to do between might be and credible threat. Well if you want to descend into the crankery of implying that all scientists everywhere are acting in a big conspiracy to avoid a truth that might cost LHC experimenters their jobs, you are welcome to. But I'm not going to engage you on that point. Perhaps you an Axil can work together to decide whether it's the same secret group that keeps the LHC operating and prevents free energy from being developed. Are you kidding, the beam of the LHC will blow a hole through your wall as if it is nothing. You do realize that it is build to pulverize matter don't you?! "Seems that the world ought to do a whole lot for something you admit being wrong about?!" You sound like MM not getting the point of how one can be wrong within a certain framework, but not within an other. Mind-boggling isn't it! Seems you like also prefer to ignore the quote of the Professor where he said that Space is like glass … and my argument of breaking the glass with a repetitive high pitch. "the way you convince scientists that you have a credible hypothesis is you go out and get data that supports it." That's true, and it's something I'm trying to do. "all scientists everywhere are acting in a big conspiracy …"
You have neither high energy, nor high frequency. The numbers SEEM big, but for the phenomena involved they are not. Statements like "You do realize that it is build to pulverize matter don’t you?!" make it quite clear that you fail to understand the processes involved. Sinisa's mosquito comparison is in fact quite apt. A 1 gram mosquito flying at 1 m/s (a bit over 2 mph), would have a kinetic energy of 1/2*(.001)*(1^2) = .0005 J. A 7 TeV proton has an energy of about 0.000002J. It takes about 250 7 TeV protons to equal the energy of a single mosquito. Hardly energy sufficient to "pulverize matter" as you put it. Besides which, my main point to you still stands. The possibility of an earth-shattering event caused by p-p collisions at 13 TeV and 40 MHz IS being investigated. It just isn't being investigated in the manner you wish. The scientists at CERN HAVE been investigating the possibility for the last two years, and there's no evidence of anything unsafe. BTW, comparing yourself to Mooney certainly isn't going to lend you any credibility on here. Most rational posters here recognize him for what he is, a crank pure and simple. Your hypothesis is not crankbait in and of itself -- a hitherto unknown resonance, particle reaction, etc. is certainly a legitimate focus for scientific study. Your contention, without proposal of a legitimate underlying mechanism, that such a reaction could be a real threat to life on earth IS crankbait. You had been focusing on the former and distancing yourself from the latter. Unfortunately, that seems no longer to be the case. "Hardly energy sufficient to “pulverize matter” as you put it." Have you never seen the guy that got hit by a Proton beam that blasted through his head? "The scientists at CERN HAVE been investigating the possibility for the last two years, and there’s no evidence of anything unsafe." The LSAG is from 2003 and the latest addition was from 2011 can you give a link to the investigation you talk about. Note, as mentioned in a previous comment they all deal with individual collisions like your tiny mosquito, and not taking the whole blast, that blows a hole through your head, into account. Please read the previous comments before posting a comment. "BTW, comparing yourself to Mooney …"
Uh, in a previous post I compared SL with him not myself. A. "Your hypothesis is not crankbait in and of itself"
B. "Your contention, without proposal of a legitimate underlying mechanism, that such a reaction could be a real threat to life on earth IS crankbait." So I can propose the mechanism (A.) but it's taboo to speculate on what the effects may be (B.) because that makes me a crank. It's like the Apollo disaster linked to hear above, a form of peer pressure to better not speak up that it might be dangerous. Be humble and shut up. No doubt that a proton beam can produce radiation that's deadly to humans, or in the case of the lucky researcher you cited, harmful. (Lucky he didn't die, that is). Still, the kinetic energy of the proton is certainly insufficient to "pulverize matter". This researcher suffered from radiation poisoning due to the proton beam collision; he was not pulverized. I think you missed my point in a couple of respects. The CERN researchers ARE investigating, at least unintentionally so, whether p-p collisions at 40 MHz and 13 TeV are potentially dangerous. They are doing so by actually carrying out such collisions. Where are the earth-shattering proton decays? Why are we still here to debate about it? Obviously, this is NOT a cause for concern, at least at current energies. Physics DOES give an answer to how much energy is needed for such collisions to cause effects like you posit, namely the Planck energy. We are quite far below such energies, and there is no prospect of ever reaching them, though. Also, no, working through the consequences of your hypothesis is fine. However, show me where you have actually done so. In fact, your "idea" really does not even qualify as a hypothesis. It basically boils down to "given enough energy and a high enough frequency of collision, something might happen". You've tried several different "soemthings" in that statement: Higgs field vibrations, gravity waves, proton excitations, etc. Which one is it? If all, show mechanisms for each. What is the threshold energy at which harmful effects might be observed? What is the mechanism for the chain reaction that you posit? Why have we not observed even a hint of such mechanisms at the current 13 TeV energy and 40 MHz frequency? Answer some of these questions and you might just go from crank to an actual hypothesis (which may yet turn out to be false, but at least it would be something testable). Finally, my apologies about the MM reference. I misread your comment in that regard. 1. The entire physics community currently is so hell-bent on keeping their jobs and running their experiments that they are willing to knowingly endanger all of humanity to keep their jobs and run their test. 2. Elle HC might just not have a complete and better understanding of the physics involved with the experiments at CERN than the physics community does. You seem to be heavily leaning toward option 1 above. I would hypothesize that you lacking understanding is quite a bit more probable than a grand conspiracy among the physics community to risk destruction of the earth. "This researcher suffered from radiation poisoning due to the proton beam collision; he was not pulverized." "the brick of the villages was pulverized by the bombardment"
grind, crush, pound, crumble, powder, turn to dust; mill, crunch, squash, etc. The rest of your comment has already been discussed, no need to go round in circles. How are the careers of physicists not working on the LHC jeopardized by deveolping a revolutionary new understanding of proton physics that would call into question the LHC's safety? I mean you're basically talking about a Nobel Prize level of discovery. And you're trying to claim every particle physicist on the planet is refusing to consider it because of some loyalty to CERN. You don't see the conspiracy nuttiness in that? So I can propose the mechanism (A.) but it’s taboo to speculate on what the effects may be (B.) because that makes me a crank. As I said in @57, proposing a novel mechanism doesn't make you a crank. Demanding physicists shut down a facility based on one person's unevidenced, metaphoric, unquantified concept makes you a crank. And within the last two days, claiming that no physicist in the entire world would consider the idea because of job security also makes you a crank. For goodness' sake, Elle, what the heck do you think would make a Chinese scientist withold that info? They're peer competitors and would (IMO) happily stick a finger in the eye of the US/European science establishment. (IMO) Their government practically encourages it. The same is true (IMO) for the BJP in India. It takes a real crank to think all scientists on the entire planet have a shared interest in this. It also takes a crank to think every significant physics job in the entire world is dependent on it's occupant not saying bad things about the LHC. "As I said in @57, proposing a novel mechanism doesn’t make you a crank." Yes, that’s something I have realized, so that’s not something I’m asking ATM. But had expect that the LHC safety paper had included a study on the relationship between the collisions and surrounding matter, but it’s handwaved away. Are you drunk or so that you already forgot what I said before perhaps just dumb or blissfully ignorant? Like I said to Sean T read what's already been written because we're going round in circles. we’re going round in circles. As long as you have no new evidence for your position, we will continue to repeat the same mainstream arguments to point out why you're (inductively, provisionally, with the conclusion subject to revision should new evidence come along etc...) wrong. As with all "challenger" ideas in science, the burden of proof is really on you to show why we should give any credence to your idea - there's no burden on us to come up with new or novel counter-arguments every time you repeat your same contention. "As long as you have no new evidence for your position, we will continue to repeat the same mainstream arguments to point out why you’re … wrong." A. "How are the careers of physicists not working on the LHC jeopardized by deveolping a revolutionary new understanding of proton physics that would call into question the LHC’s safety? I mean you’re basically talking about a Nobel Prize level of discovery." B. "Demanding physicists shut down a facility based on one person’s unevidenced, metaphoric, unquantified concept makes you a crank." It is the same argument as the one by 'Sean T' @ #71 that I responded too @ #72. You see the irony also in your example, where on the one hand such a theory deserves the Nobel prize (if correct), but if you'd give the slightest hint that there's a hazard, before you have any proof, that would make you a crank. My latest criticism here was that Ethan presents statements as facts which are only theoretical, not supported by any evidence, and that he is proud of it, as if my exposing his dishonesty were a compliment. My criticisms of relativity are based on objective realism... that the physical cosmos is as it is independent of differences in observational frames of reference. Examples are ubiquitous: The lengths of physical objects and the distances between them does not depend on observational differences, in spite of the "Lorentz Transformation" by which the slower one's clock is ticking (after acceleration to higher speed) the shorter the distance traveled... etc. "Length contraction" ("length is not invariant" according to SR) also includes shrinking trains, flattened planets, variable depth of Earth's atmosphere and reduced distance between stars, depending on the traveler's speed. Also, "spacetime" is not a malleable entity. It's a geometric/ math MODEL presented as a substantial "real world" entity. (Dishonest science) Plus it is supposed to allow "time travel" via the "block universe" MODEL, turning science fiction into "credible science." That's enough scare quotes for one post. All of the above makes me a crank here, a target for endless personal attacks. You see the irony also in your example, where on the one hand such a theory deserves the Nobel prize (if correct), but if you’d give the slightest hint that there’s a hazard, before you have any proof, that would make you a crank. Where is the irony? Any discovery that radically overturns our current understanding is a likely candidate for the Nobel prize. Admitted. Agreed. That doesn't mean I think every claim that would radically overturn current understanding is worth investigating. To paraphrase Carl Sagan; the fact that some genius ideas were laughed at does not mean every idea that is laughed at is genius. "the fact that some genius ideas were laughed at does not mean every idea that is laughed at is genius." You both give someone the benefit of the doubt, but not when someone is saying there might be a hazard. It is defense mechanism, perhaps because you experience it as an attack. Someone objective wouldn't make that 'ironic' switch from possible genius to definitely crank because of the possible consequences. I guess the part you missed is "underlying mechanism". What is the underlying mechanism in your idea. So far, all you've given is "maybe Higgs field vibrations" or "maybe gravitational waves". What you have failed to do is show HOW such phenomena would result in a dangerous situation. Your analogies to resonance in glasses fail because glasses are aggregates of massive numbers of particles, whereas the CERN tests are collisions involving only two particles (two protons). The remnants of those collisions can further interact with other particles, but (discounting three or more-way interactions which are of very low probability), they will always be two particle interactions. Phenomena like resonance are emergent phenomena involving aggregates of particles, not microscopic interactions. Even a concept such as "temperature" really doesn't have meaning for a single particle. That's why your arguments by analogy are not good ones. Now, if you came up with some chain reaction mechanism by which a microscopic two-particle interaction could propagate throughout a macroscopic mass, then you might be on to something and might be taken seriously. You would need to show how the energy from one interaction is propagated in such a way as to produce subsequent interactions. The example of a fission reactor is a good one. A neutron is absorbed by a fissionable nucleus. The subsequent fission of that nucleus produces four more neutrons, which can go on to trigger subsequent fission events. That's a legitimate mechanism for a chain reaction. In your proposal, what is it that triggers the initial reaction (akin to the neutron absorption in the fission case)? What is it that the reaction produces (more neutrons?) What mechanism is it that allows the products to continue to propagate the reaction? (obvious in the case of fission, since neutrons can directly trigger further reactions. This mechanism need not be so direct). Start talking about things like this, and stop talking about conspiracies among the physics community to hide the threat so that they can keep their jobs. I am not personally a physicist and am not involved with CERN in any way. I really don't care if they keep their jobs or not (beyond my human compassion to not want to see people suffer needlessly). So far you have given no serious evidence that there may be a danger. Your argument is akin to me saying that the quantum flux of the Higgs field might destroy your house if you reply to this message. It's word salad; it's not a real idea based on a real understanding of physics. You can't prove I'm wrong, but I have no evidence that I'm right. If I expect you to take my warning seriously, then it is incumbent upon me to provide evidence that my warning is actually credible. I cannot do so. Neither can you in the case of your warning. I haven't spoken of conspiracies, don't pin that on me. "Your argument is akin to me saying that the quantum flux of the Higgs field might destroy your house if you reply to this message. It’s word salad; it’s not a real idea based on a real understanding of physics. You can’t prove I’m wrong, but I have no evidence that I’m right." That's nonsense and a way to ridicule my argument. What you should compare it to in your example, is starting construction works next to your house and drilling heavily … now one can ask the question could the intensity of the drilling shake my your property apart? Or think of an earthquake and a tsunami that travels hundreds of miles ripping up the ocean shores. That's what (particle) collisions are about, generatin waves and waves and waves of energy that spread out, hitting everything in their path. Again, your analogies fail. We know the mechanisms by which tsunamis and construction site drilling can damage properties. We DON'T know the mechanism for how 13 TeV (which have MUCH less energy than construction site drills or tsunamis); could destroy the earth. Until you can explain that mechanism, I am afraid your argument IS in fact nonsense. "We know the mechanisms by which tsunamis and construction site drilling can damage properties." You do understand, right, that there MUST be a chain reaction to cause any kind of serious macroscopic damage. The power output of the LHC assuming 40 MHz luminosity and 13 TeV collision energies is about 83W, just a bit more than a typical household light bulb. Things like resonance are NOT microscopic phenomena; they are properties of large aggregates of particles acting in concert. There ARE no such aggregations of particles in the LHC system; it's a pretty good vacuum. As such, resonances are pretty much ruled out. The only way to build up energy is for some hitherto unknown reaction to have a chain mechanism that spirals out of control. What is that mechanism? There's a big jump between "there may be a hitherto unknown particle decay that might be observed at the collision energies at which the LHC operates" and "there is a possibility that such a hitherto unobserved reaction could cause macroscopic energy release." It's the same difference as the difference between ordinary radioactivity and nuclear fission. Ordinary radioactivity, while it can be biologically harmful, is NEVER going to cause damage to macroscopic structures, regardless of how much radioactive material is present or how active such material is. We can observe rapid beta decay for as long as we want, and there will never be any reason to worry that the building we are sitting in will be destroyed. Fission, as I have tried to point out previously is a different animal. Fission is triggered by neutrons and produces more neutrons than it consumes. This leads to a potentially runaway chain reaction that can destroy a city. The mechanism by which this occurs is known, though. What we don't know is the mechanism by which your hypothesized proton decay will cause an uncontrollable chain of such decays. If you want to get out of crank territory, specify that mechanism so that others can evaluate the probability of its occurrence. You are still getting mixed up on where the burden of proof lies. It does NOT lie upon the scientific community to disprove your idea. It's up to you to provide your evidence for it. Such and such a reaction MIGHT happen is not evidence. "There ARE no such aggregations of particles in the LHC system; it’s a pretty good vacuum." Seriously, plz go check post #35 that's the time when SL realized what the mechanism is that I am suggesting, this after a long explanation from my part over multiple posts. You should also read what others write, it is really annoying to explain the same things over and over again. "Subsequent studies with large particle accelerators have now led us to understand that space is more like a piece of window glass than ideal Newtonian emptiness. It is filled with ‘stuff’ that is normally transparent but can be made visible by hitting it sufficiently hard to knock out a part. 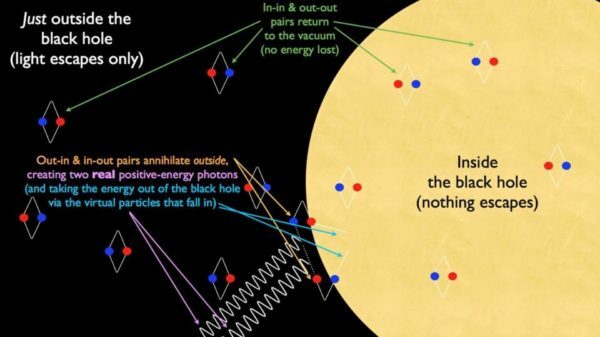 The modern concept of the vacuum of space, confirmed every day by experiment, is a relativistic ether.>/b>"
Now go look up what the connection is between those 'Goldstone bosons' and the Higgs Boson. I hope that this time you can finally put all the pieces together and graps what I am actually talking about. BTW how much Watt does a spark need to have to start a Wildfire? LOL even if you stop saying we should shut down the LHC, and limit yourself to claiming high intensity proton reactions will create a cascade of gravity waves, I'm not going to give you the benefit of the doubt. I don't think that happens, and I would want you to show me evidence supporting it before I accepted that it happens. But, as to your accusation that I'm being "defensive," maybe an analogy would help. Let's say I live in LA and my neighbor Elle tells me she fears North Korea may launch a successful nuclear ICBM at LA. I personally think this is not credible, but if her response to this belief is to watch the news every day, I won't think she's acting particularly crazy. She's collecting more data; testing her initial belief. Responding to a low-credibility fear with a low expenditure of resources. But if she goes before the HOA and demands it use $millions of our HOA money to build a big nuclear bunker under our neighborhood, I'm going to oppose it and think she's nuts. Is my opposition to her bunker-building demand "defensive"? Is it ironic that my response to her claim differs depending on what she does about it? I don't think so; I think it's perfectly normal to see a low-grade response to a low-grade fear as okay, but a high-grade response to a low-grade fear as irrational. Someone objective wouldn’t make that ‘ironic’ switch from possible genius to definitely crank because of the possible consequences. In that case I will avoid giving the impression that I ever thought your ideas was 'possible genius' in the future, as I didn't mean to do that. I thought it was obvious that I was putting your idea in the second of Sagan's categories, not the first. But I guess that wasn't obvious so I apologize for any confusion that might have caused. "LOL even if you … limit yourself to claiming high intensity proton reactions will create a cascade of gravity waves, I’m not going to give you the benefit of the doubt. I don’t think that happens, and I would want you to show me evidence supporting it before I accepted that it happens. Someone who works at CERN has told me that there are GWs at the LHC but that they are "something like 50 to 100 orders of magnitude too weak to be detected". SL even asked how he knew this and the guy told me that he "plugged in numbers into the quadrupole formula". Oh lordy. I think even the Enquirer would need more than that. Do you think maybe your game of telephone might have been referring to this? It even uses the term 'constructive interference,' though here it's being used as a double entendre rather than scientific term of art. "Oh lordy. I think even the Enquirer would need more than that." Ethan already explained quadrupolar radiation here above in his comment to 'Klavs Hansen', and I already told you this at #49.